Don't leave your wound out there for everyone to see. 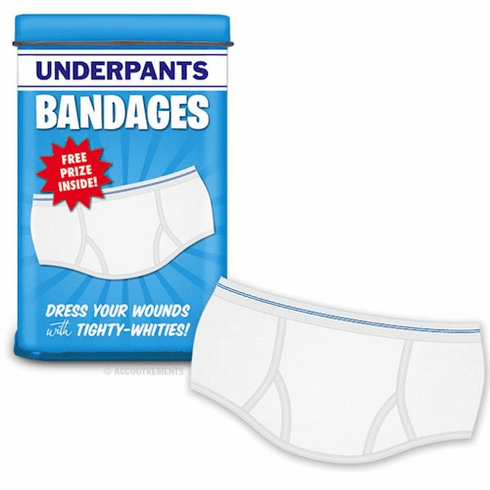 Quick, cover it up with one of these Underpants Bandages! Each 3-3/4" (9.5 cm) tall metal pocket tin contains twelve 2-1/2" x 1-1/4" (6.3 cm x 3.2 cm) latex-free adhesive bandages with sterile gauze and a FREE PRIZE to take your mind off of the excruciating pain.